My husband and our 20-year old cousin were outside, taking the Christmas tree off the car and bringing it into the backyard, so we can bring it in through the sliding doors. Usually, the tree-hauling job takes 3 or 4 of us, not because the girls and I aren’t strong, but because we really don’t want to do it. Not that our cousin had a choice. We all disappeared pretty quickly, leaving it to him and the hubby. Not that it was as difficult as usual. Usually it’s bitter cold and often snow is on the ground when we go to the farm to cut down our tree. The car’s external thermometer read 65 degrees Farenheit as we pulled into the driveway. 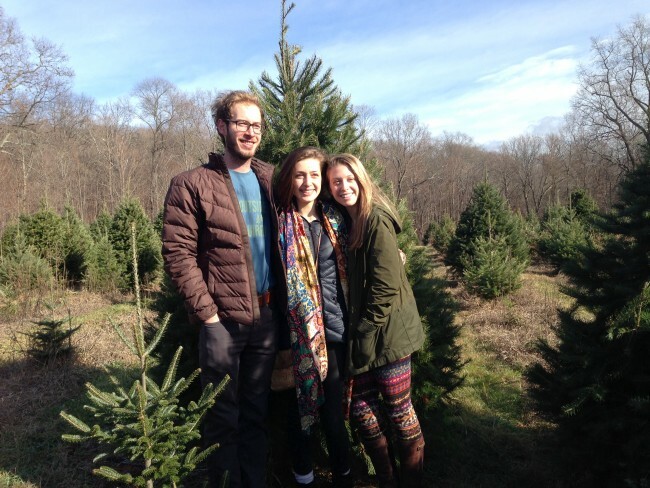 Older daughter wants to trim the tree this weekend, while she’s still home from college. That means Christmas music and egg nog, even though none except hubby actually likes the nog stuff. Christmas is coming up upon us fast. Hard to believe on this beautiful Spring-like day.